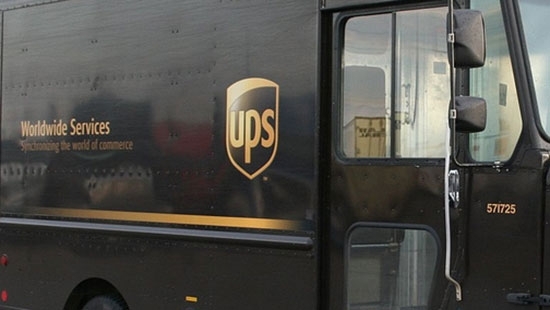 A UPS delivery driver was shot this afternoon in Chester, Delaware County. It happened just before 1:30 p.m. near 10th and Highland. The driver was struck in the shoulder by a stray bullet. The driver was able to drive himself to the Murphy Ford dealership on the 3300 block of Township Line Road to get help. He was taken to Crozer Medical Center and treated for a minor injury. It is not believed he was targeted. "We're grateful there was no serious injury to this experienced 13-year UPS driver. The safety of our personnel is our first priority, and UPS drivers are trained to be aware of their surroundings. The delivery helper riding with the driver was not injured. Packages are being transferred to another vehicle to complete service today," UPS said. Any packages were transferred to another truck to be delivered. The Tunisian man wanted for driving a truck into a Christmas market in Berlin was killed during a shootout with police in Milan, Italy, on Friday. 24-year-old Anis Amri was stopped by two officers in Milan on routine patrol who then asked the man for ID papers. He instead pulled a gun and started shooting. One officer was hit in the shoulder while the other officer shot Amri in the chest. The wounded officer will be ok. They stopped him and asked for ID simply because he was a lone man outside of a train station at 3 a.m. Fingerprints later confirmed he was the Berlin terror suspect. After the attack in Germany that killed 12 and wounded more than 50, Amri travelled by train through France to Italy. German officials had identified Amri as a threat well before the attack and had been keeping him under surveillance. They were in the process of trying to deport him. A Libyan passenger plane was hijacked on Friday and diverted to the Mediterranean island of Malta. Once on the ground all of the passengers and crew were evacuated safely and the two hijackers surrendered. It happened on Friday morning aboard a Afriqiyah Airways A320 flight from Sabha, a desert city in southwestern Libya, to the Libyan capital, Tripoli. The hijackers were sitting in the rear of the plane and threatened to blow it up if it didn't land in either Rome of Malta. They are believed to belong to Al Fatah Al Gadida, a group loyal to former Libyan leader Muammar Gaddafi. The plane had 7 crew members and 111 passengers. Maltese armed forces conducted the negotiations.